Arlene has written and presented seminars while on staff at settings as diverse as American Express, TRS and Cancer Care. Inc. She has been commissioned to present stress management and other seminars for numerous groups, among them – the physicians staffing the Emergency Medicine Department of the Brooklyn Medical Center, associates at a Madison Avenue law firm, corporate audiences and parenting organizations. 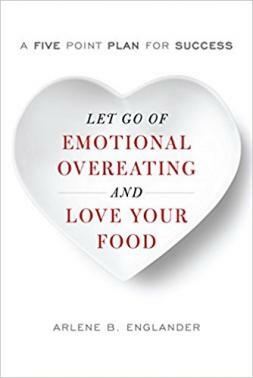 These seminars are designed to help clients understand the difference between emotional overeating and a healthy relationship with food, learn how to effectively manage stress, practice (!) and remember the concepts that are central to mindful eating so that it can eventually become habitual, and handle a number of potentially challenging situations. The overall goal is a heightened enjoyment of both food and life! Focusing on a number of different situations, at the workplace as well as in family life, this seminar explores the basic concepts of what causes stress, how we can often choose our responses, and how to heighten our sense of control. Interspersed with humor, as well as academic concepts, it’s a highly informative, as well as entertaining talk. Recapturing Your New Year’s Resolutions — How to Make Them Happen! Habit change is difficult, but achievable. Often our happiness, health, and even the length of our lives, lie in the balance. This talk explores the various components of understanding what constitutes a habit and how awareness is key to regaining control. Humor is utilized throughout, alongside specific pointers on moving forward in a self-compassionate, productive way. The emphasis throughout is on fun practices that are doable, rather than on focusing on what not to do. While loss in and of itself, can be painful, sadly, so many of us, unaware of it, add to our distress. Based on a paper of the same name presented at an international American Cancer Society Conference in N.Y.C. to 500 physicians, nurses, psychotherapists and other health care professionals, some of the topics are the “if-only’s”, the universality if ambivalence, and the many falsehoods contained in our stereotypical suppositions about grief. The objective is to attain a better understanding of aspects of the process that are healthy and unhealthy, and learn to more fully accept ourselves and our confusing and contradicting emotions at a challenging and confusing time. In doing this we’re better able to be healingly compassionate towards ourselves and others. 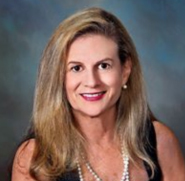 Arlene utilizes her eight years at Cancer Care, Inc., working with thousands of patients and families, as well as other professional and personal experiences to illustrate the many important points in this program.